Every couple weeks or so, I have the urge to just lay in bed and have a good and healthy cry on a rainy day. I may not even be particularly sad, but it's nice to get those tears out every once in a while. 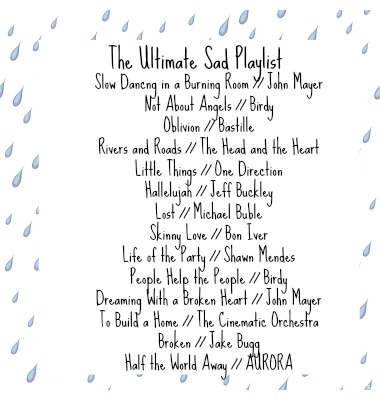 I've formulated a playlist with the saddest songs out there. If you're like me and like to have a good cry sometimes, I would highly recommend it. Any songs guaranteed to make you cry? Let me know! I'm always looking to add to my playlists! You can also find this playlist on my Spotify. Follow me @carolinekoehn06 !! 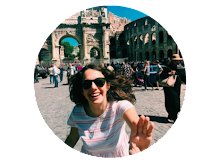 I have some other upbeat and fun playlists on there also! I love Skinny Love and Hallelujah! Oh my gosh yessss Rasshi!! All of these are perfect!! I totally forgot about them! !